This is one of the best body care products I've ever used. The formulation of the souffle is perfect. It has a fluffy texture and you can distribute it easily. My skin immediately feels more hydrated, smoother and silkier. The soufflé absorbs quickly, but leaves skin hydrated for the next couple of days. I especially love using it on my legs after shaving, it gives necessary hydration and care to the irritated skin. 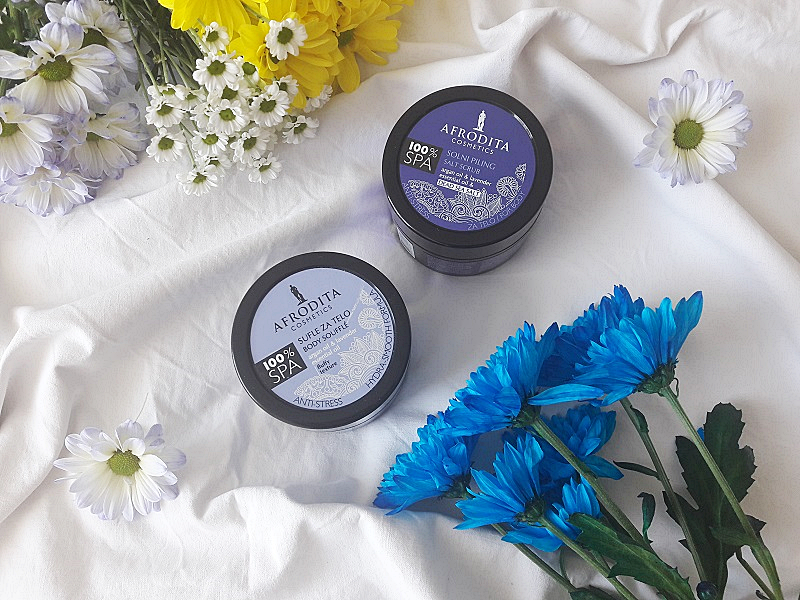 This soufflé is more than just a great body moisturizer, it also has anti-stress properties. Because of the lavender essential oil, it relaxes not only my body but my mind also. I recommend it to anyone. I've been really enjoying using it and I'm going to repurchase it. This peeling should gently remove dead skin and provide detoxification and regeneration. When I first opened it, I noticed a great and powerful lavender scent. It immediately relaxed me and put me in a good mood. I felt really disappointed when I first used it. The salt was really hard to control with my hands, it fell everywhere. I didn't get that feeling of nicely exfoliated skin. Then I read on Celebren Beauty blog that this peeling could be used as a foot bath so I gave it a go and I was really happy with the results. It relaxed my tired feet and softened my skin, because of the argan oil. I'm going to continue to use it for that purpose, but I'm not going to repurchase it. 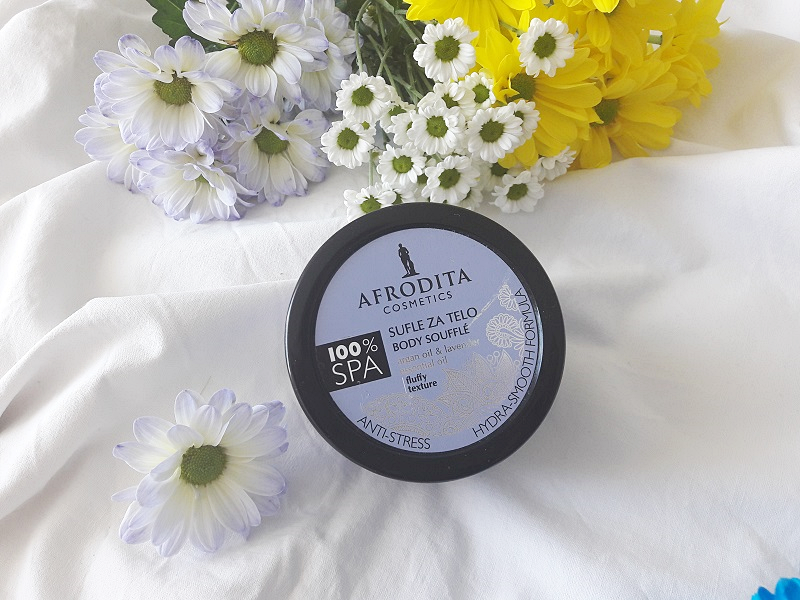 You can find out more about Afrodita Cosmetics 100% SPA line --> here. Have you tried these two products? 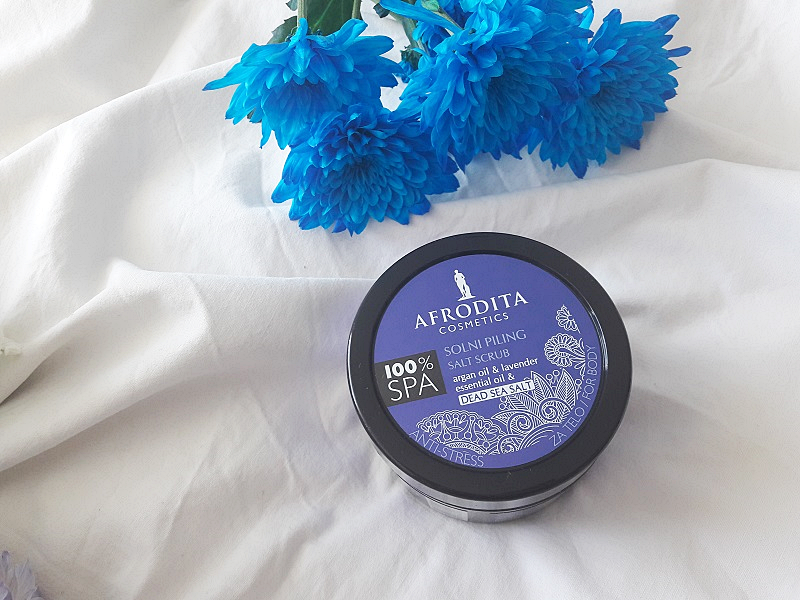 Do you love Kozmetika Afrodita 100% SPA line?